Professor Layton vs Phoenix Wright is ranked in the 81st percentile of games scored on OpenCritic. If you have a knack for visual novels, puzzles, and contradictions, then Professor Layton vs. Phoenix Wright: Ace Attorney was made for you! Fans of both series will feel right at home, as the game is faithful to each character’s style of gameplay. Professor Layton vs. Phoenix Wright: Ace Attorney may not live up to the hype we’ve given it after all these years, but it’s still a great game that celebrates both franchises well. A successful combination of both Layton and Wright. Maybe a little lengthy for its own good, with a story that could have ended a couple of hours earlier, it is nevertheless a great celebration of both series. Professor Layton vs. Phoenix Wright: Ace Attorney is a game that I’d recommend to any fan of either series. It’s too wordy for its own good, and the clash of styles is sometimes jarring and somewhat nonsensical, but this blend of two classics maintains enough quality from each to be well worth investigating. a thoroughly enjoyable and engaging crossover. The jury's verdict is in. And it's... Recommended. Probably the most satisfying video games crossover ever made, and one that plays with the conventions of both franchises and still delivers a funny and touching story. The culmination of this special coming together of the Ace Attorney series from Capcom and Level-5's Professor Layton world is a magical one indeed. Fusing together the fundamental elements of both titles for Professor Layton vs. Phoenix Wright: Ace Attorney works seamlessly and the combination of characters working as partners in each other's usual settings is truly joyous to behold. What is more, having Shu Takumi back on-board is definitely telling as some sublime new courtroom techniques are introduced that most definitely need to remain for future Ace Attorney titles, whilst Akihiro Hino's traditional Professor Layton game engine is as smooth as ever. Hopefully this is the first of many crossovers between Messrs. Wright and Layton. Professor Layton VS Phoenix Wright: Ace Attorney combines two very different but still complementary series into one exciting experience for your handheld. Professor Layton vs Phoenix Wright: Ace Attorney is two great tastes that taste great together, even if they don't congeal together until the finale. But wow, what a finale it is! 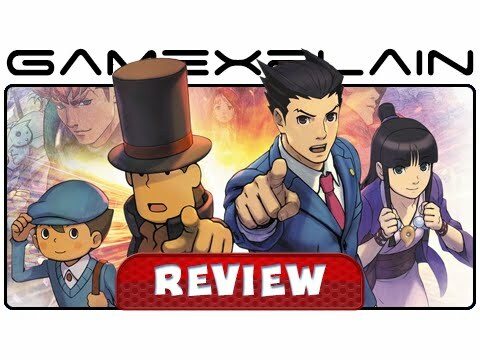 The framerate issues are very unfortunate and the new Ace Attorney mechanics can make the game a bit repetitive, but with over 20 hours of well-written content, this is a game who will please fans of either series, and will delight anyone who is a fan of both series. This game is also a great entry point for either series, since it offers a glimpse into both without heavily favoring one or the other. While it’s not everything it could have been, Professor Layton vs. Phoenix Wright: Ace Attorney is still a funny, charming, dramatic, and emotional game, one that brings two very different franchises together into one fantastic gaming crossover. In the end, there’s a magical quality to this game’s blend of ingredients that makes some of its minor faults seem insignificant. Professor Layton vs. Phoenix Wright: Ace Attorney is an extremely satisfying pairing — if not actually a blend — of the puzzle solving and courtroom twists from the two series. The game’s high production values add charm and character to the experience. The compelling storyline and animation make up for dialogue that might linger a little too long and puzzles that might speed by a little too quickly. If you like both nonviolent handheld heroes, “Take That” copy of Layton vs. Wright, without hesitation. Two worlds collide in Professor Layton vs. Phoenix Wright: Ace Attorney and they collide quite well. Great pains have been taken to ensure that the combination works as a cohesive unit, and for the most part it succeeds (with some minor hiccups along the way). There’s more than enough content for old fans of either franchise and new players will find this game as a more than welcoming entry point to both games. Those that enter the world of Labrynthia will thoroughly enjoy their foray — just mind the witch trials. An excellent addition to the 3DS library, Professor Layton vs. Phoenix Wright offers the best of both franchises in fantastic bite sized portions. You wouldn't think it, but the Professor Layton and Phoenix Wright series complement each other very well. This game is fanservice at its best: gameplay styles that work beautifully together, two iconic characters teaming up to use their deductive skills, and thankfully a lack of cameos and franchise clutter. While not as challenging or involved as the best games from either series, this is still a crossover fans of both Wright and Layton don't want to pass up. Professor Layton vs Phoenix Wright: Ace Attorney is a combination of two wholly unique franchises which takes place fairly smoothly primarily thanks to the already-fantastical nature of the story. Of course it’s ridiculous, but the story is actually quite fun, and it’s compelling and unpredictable enough to captivate those with a bit of patience and willingness to accept it for what it is. Best of all, the gameplay from both series is represented well, set against the backdrop of a truly great presentation. Whether you choose to label it a cash-in or a shameless celebration, it’s collaborative love from Level-5 and Capcom that you probably won’t want to miss. For maximum enjoyment of this title, I would highly recommend playing the titles from both franchises. I feel that only enjoying one character's game will reduce the fun by half - thus limiting the overall enjoyment. Get into both series, and then this game becomes that much better, because the puzzles are still able to maintain a freshness without repeating. And at $30, this title is pretty dense in content. There's a lot to be able to witness in this game. Professor Layton vs. Phoenix Wright: Ace Attorney is a truly solid adventure that takes the best from two very greatly written worlds and puts them in the same game - puzzle solving and courtroom action. Fans of either franchise will feel at home and at the same time will be able to explore the other game, hopefully developing an interest in the other franchise to continue playing them once they beat this title. The best part is, you don't really need knowledge of either franchise to be able to play this game through (although playing the previous entries of each franchise will help you understand some of the jokes or references). You can simply pick up this title and the storytelling will do the rest. Putting aside the minor gripes of rather weak voice acting and some linearity problems, you still have an excellent title to look at, and I couldn't recommend this title more - it's thrilling entertainment that will be sure to last for a good number of hours. Big shout out to my press contacts at Nintendo of America for making this review possible! As a fan of both series, I can say with confidence that Professor Layton vs. Phoenix Wright: Ace Attorney pays equal tribute to both. If you're a fan of either, you'll find plenty of nods to your respective adventure alma mater. If you're a fan of both, you're in for a memorable experience with two praiseworthy protagonists embarking on a journey side by side. Some story elements and newly hatched characters are a bit flaccid, and there is a remedial quality to the puzzles, but they are small criticisms that are overshadowed by great artwork, remarkable music, and well-blended gameplay from both universes. Professor Layton Vs. Phoenix Wright: Ace Attorney delivers an utterly charming, enjoyable experience to satisfy fans of both franchises; it's a crossover that, when experienced, seems entirely natural. The individual parts are pleasurable and entertaining, as always, though perhaps fall a little below the exceptional standards of their main-series contemporaries, and there's a lingering sense that more gameplay innovation to blend the two brands could have been explored. These are minor complaints in the grand scheme of a lengthy adventure, however, and the storytelling — combined with character development — has been delicately constructed; Level-5 and Capcom have done a commendable job. The end result is another 3DS title that exemplifies much of what sets Nintendo's portable hardware and supporting software apart; it provides heart-warming, accessible fun, and entertainment to last for many hours. This crossover between Professor Layton and Phoenix Wright brings the best of two worlds into one game. With its very well thought and executed concept, Professor Layton vs Phoenix Wright is set to charm fans of both series alike. It does miss out, though, on the quantity and quality of the puzzles offered, as well as on the lacklustre outcome of its plot, perhaps a casualty of such an ambitious crossover. Professor Layton vs. Ace Attorney comes out with a game that in many ways improves upon both formulas. It may be too bogged down in its own story and look slightly dated, but the pure puzzle mechanics still work both in and out of the courtroom, and are bolstered by the crossing of ideas. It's more than the sum of its parts, and as a result is a nice treat. Something that will please long time fans and newcomers alike. Professor Layton and Phoenix Wright make for a odd couple who complement each other surprisingly well, with the former bringing additional side puzzles and the latter bringing weight to the story. If that is'nt enough, the silly interactions between the main cast of characters are worth the price of admission. Though the ending wraps the story up a bit too neatly and the lasting value sharply drops off once you complete the game, Professor Layton vs. Phoenix Wright points its fingers with the best of them. With a great execution of both series' mechanics, a solid and well-paced story, and appealing presentation, Professor Layton vs. Phoenix Wright: Ace Attorney is a must-play for adventure fans. 'Professor Layton vs. Phoenix Wright: Ace Attorney proves to be a strong match despite some clear growing pains. Layton's brain-teasing puzzles and Ace Attorney's rigorous courtroom circus make for a surprisingly good match despite some pacing and plot issues. The first crossover between Professor Layton and Ace Attorney is a fantastic adventure that is sure to please fans of either series. At its best it is an engaging and entertaining visual novel, while at its worst it is less than sum of its parts. Overall, the game doesn't quite break the kind of new ground some fans might desire for a crossover between two iconic characters. It feels like it tried to take things safe so it doesn't alienate fans of the two franchises who may have differing expectations. At the same time, it does a great job of polishing and melding the strengths of two series while breathing new life to old mechanics such as court cases. 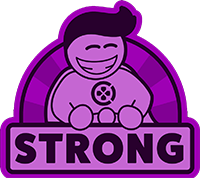 If you're a fan of either series or like playing games that give your twitch reflexes a break while exercising your noggin, then this title is something you won't have any objection to. Less crossover and more combination, the excellent Professor Layton vs. Phoenix Wright: Ace Attorney provides each of its stars equal face time. I’d love to have seen a more radical take on each title’s conventions in order to play a mash-up that’s truly different. As an advertisement for each legacy franchise, though, Professor Layton vs. Phoenix Wright is a solid showcase for what both do better than any other game, if only by default. While the gameplay in Professor Layton vs Phoenix Wright: Ace Attorney consists of each series’ respective experiences, neither feels like the full experience fans would expect from each of the series on their own. The Layton-style puzzles are dumbed down to the point of being overly simple and even boring at times, while the Ace Attorney courtroom battles are shorter and more straight-forward than fans will be used to. Chances are, if you’ve never picked up a Professor Layton or a Phoenix Wright game, you’ll have little to no interest in this crossover. But for those who have only played one, you’ll find plenty of joy in Professor Layton vs. Though it’s engrossing in its own right, and it provides a hearty serving of gameplay, Professor Layton vs Phoenix Wright: Ace Attorney feels full of wasted potential. This would be forgivable if the story was engaging enough to drive things, but it tends to devolve into a slog from one puzzle to the next, with the occasional trial in-between to brighten it up. It’s worth a go if you’re a fan of either series, and you won’t be disappointed by the story – just be prepared to invest plenty of time to see it through. As a system built for story delivery, everything just works beautifully. It's not that the game fails to offer something compelling; I sit there and take any individual piece of what went on in Professor Layton Vs. Phoenix Wright, and I liked it. It's just that the attempt to mesh two very different kinds of games together without any real attempt to adjust how either plays simply doesn't work as well as it should on paper. Professor Layton vs Phoenix Wright was an excellent experiment that captures both series rather well. The puzzle vs court case gameplay tie together seamlessly while not stepping too far outside their box. Again, the story may take some giant leaps and drags on a bit too long, but it’s still a game worth visiting for fans of each series. From this gentleman, there are no objections here.